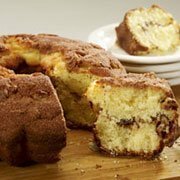 Our coffee cakes are made in the old-fashioned tradition using only high-quality ingredients for decadently moist coffee cakes that are truly the best around. And they are trans-fat free. High quality standards mean consistent cakes batch after batch.